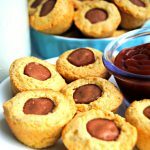 Gluten-Free Corn Dog Bites are a mini version of the much-loved corn dog. Super simple to make and perfect for lunches, as a snack or as a fun appetizer for your next party. My kids love corn dogs. Sometimes they get a special lunch of corn dogs and tots from Sonic when we are out running errands. It’s hard to find gluten-free corn dogs, so they don’t get them at home very often. I recently saw a post on in one of my Facebook groups where someone made mini corn dog muffins. I thought that it was a brilliant idea! 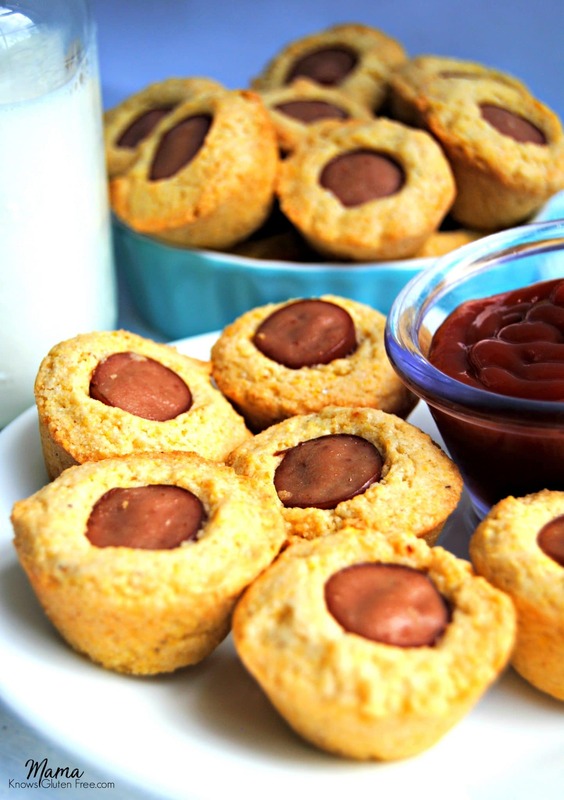 All you need for these mini corn dog bites is your favorite gluten-free cornbread mix, hot dogs, and a mini muffin pan. My favorite brand of gluten-free cornbread mix is by Krusteaz (it’s dairy-free), and I buy it at Walmart. My family is a big fan of Oscar Myer turkey hot dogs or Hebrew National beef hot dogs. These mini corn dogs are super easy to make, bake in just 15 minutes and are freezer friendly. They would be perfect for school lunches, an after-school snack or as an appetizer for your next party or football game day. Preheat oven according to gluten-free cornbread mix directions. Combine all of the ingredients to the gluten-free cornbread mix according to the box directions. Dairy-free use almond, cashew or coconut milk when making the cornbread mix. Fill the muffin pans with the gluten-free cornbread batter. Cut hot dogs into small bite-sized pieces. 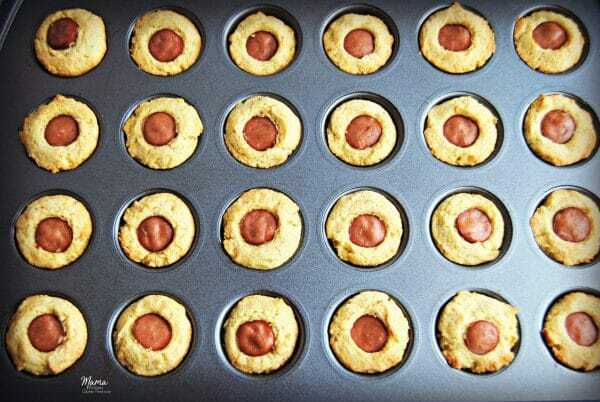 Place hot dog pieces into the center of each mini muffin pan filled with gluten-free cornbread batter. Oh these look so yummy and so poppable! I’ve been searching for easy to make meals since my fiance went back to work and these are perfect.